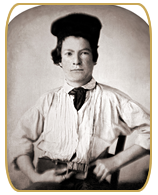 Born Samuel Longhorn Clemens, he was a young man of many trades, including typesetter, newspaper journalist, riverboat pilot and miner before becoming the Mark Twain we recognize today. 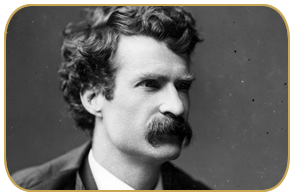 In fact, the pseudonym Mark Twain, meaning Mark number two on the Mississipi River, was a measurement used to signify the safe depth for steamboats. 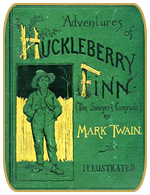 William Faulkner described him as "the father of American Literature," while Ernest Hemingway states "All modern American literature comes from one book by Mark Twain called Huckleberry Finn." Born in Florida, Missouri, but at age four he would move with his family to Hannibal, Missouri, which served as inspiration for the fictional town of St. Petersberg in his canonical works of Tom Sawyer and Huck Finn. He was born with, and would die by, the path of Halley's comet about Earth. 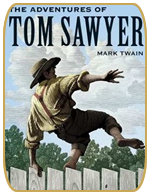 The Adventures of Tom Sawyer was released in 1876, while The Adventure's of Huckleberry Finn was later published in February, 1885. However, a lesser known short story called The Celebrated Jumping Frogs of Calaveras County in 1865 was his first well-received publication, and allowed him to continue his prolific writing career as a travel journalist for the Sacramento Union. He frequented our Historic Cary House during his travels through California, and his antique typewritter still remains on our fourth floor. When interviewed about his presence in town, the then proprietor spoke of how he "held court" in our local saloon. His prediction held true, and Twain died of a heart atttack on April 21, 1910, one day after the comet's closest aproach to Earth.